Since the election of Scott Walker, Wisconsin has been seen as ground zero for debates about the appropriate role of government in the wake of the Great Recession. In a time of rising inequality, Walker not only survived a bitterly contested recall that brought thousands of protesters to Capitol Square, he was subsequently reelected. How could this happen? How is it that the very people who stand to benefit from strong government services not only vote against the candidates who support those services but are vehemently against the very idea of big government? With The Politics of Resentment, Katherine J. Cramer uncovers an oft-overlooked piece of the puzzle: rural political consciousness and the resentment of the “liberal elite.” Rural voters are distrustful that politicians will respect the distinct values of their communities and allocate a fair share of resources. What can look like disagreements about basic political principles are therefore actually rooted in something even more fundamental: who we are as people and how closely a candidate’s social identity matches our own. Using Scott Walker and Wisconsin’s prominent and protracted debate about the appropriate role of government, Cramer illuminates the contours of rural consciousness, showing how place-based identities profoundly influence how people understand politics, regardless of whether urban politicians and their supporters really do shortchange or look down on those living in the country. The Politics of Resentment shows that rural resentment—no less than partisanship, race, or class—plays a major role in dividing America against itself. "The Politics of Resentment is eye-opening. It has taught me more about my country than any other book or article I have read in many years." "The Politics of Resentment is an important contribution to the literature on contemporary American politics. Both methodologically and substantively, it breaks new ground." book. Given recent events, it provides a much-needed corrective to the more journalistic accounts of white working-class voters, ones bereft of the rigor Cramer deploys. 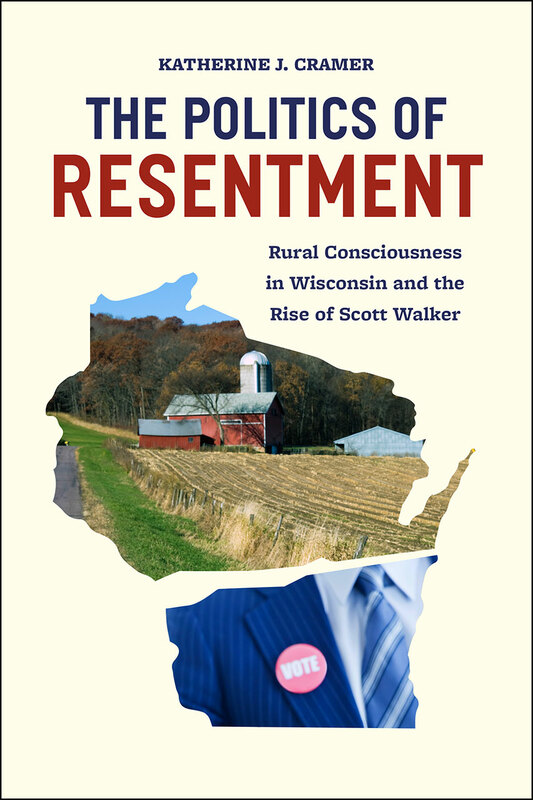 The Politics of Resentment, to my mind, is required reading to understand rural support for Scott Walker in Wisconsin; and also what might motivate Trump supporters more generally. Cramer’s book deserves all of the attention it’s received thus far."